Again, our football and netball teams have been out and about representing our school. Our netball team did us proud in their efforts against Perdiswell Primary School this week, even though we conceded defeat with a score of 4-3. 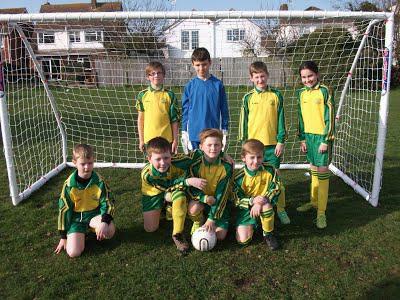 Our football team have been in action twice since our last newsletter. In a very hard fought game, the team ground out a 1-0 victory over Oasis Academy, Warndon. The team showed plenty of character and tenacity to take the three points. Despite earning their first win of the season, the children could not carry the momentum into this week’s fixture against Northwick Manor. Sadly the 8-1 score-line did not reflect the hard work and team spirit shown by all those involved. The team will look to bounce back when they take on Cranham Primary next week.